Custom Handmade Soap Boxes: Custom crafted, distinct and elegantly coloured cardboard soap box definitely improves the appealing outlooks of your retail market shelves. These attractive handmade soap display boxes not only help in sustaining the quality of your product but also help to improve the brand image of your company. We aim to provide you with an inventive outlook, our efficient set of services bring a positive change in your business. Exclusively designed corrugated soap mailer boxes in unique style and theme are brought into implication to confer more attraction in your ordinary boxes. Packaging PAPA offers haunting customizations for your ordinary looking shipping boxes. You can have them in your desired shape, style, size and colour. We let you opt from the different emblems that come in handy during the preparation of your recyclable handmade soap boxes. We also let our valued clients mark an alluring impression with our different embellishments for your custom handmade soap boxes made of Kraft material to target your potential customers. 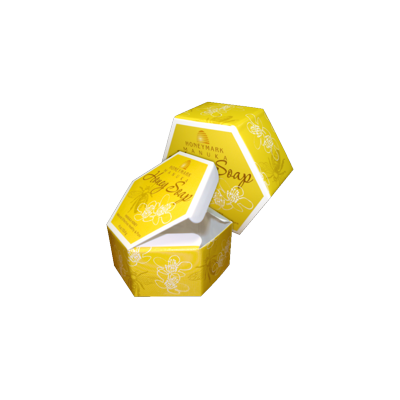 Enrapturing soap die cut boxes fabricate glimmer about the brand and entice the consumers to check out your product. 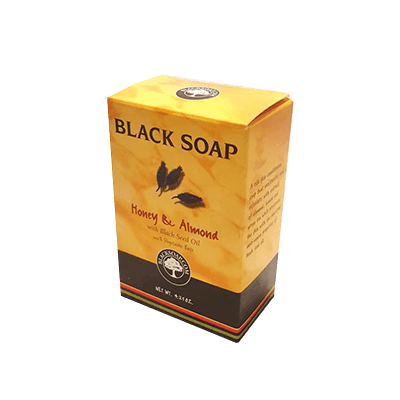 There are different kinds of soaps available in the store and each one of them has different demands. Obtaining a tempting design needs professional prowess. We are the most reliable printing press that has been satiating the needs of cosmetic industry with our beautiful solutions. We have become the most preferred company because of our allegiance to providing you with the best possible solution in minimum turnaround time and at an affordable price. At Packaging PAPA, different categories are catered like: Kitchen, Laundry, Personal, Novelty, Cleaning, Perfumed, Guest, Beauty, Medicated, Glycerin, Transparent or Liquid soaps get a peculiar and specific box for each kind. 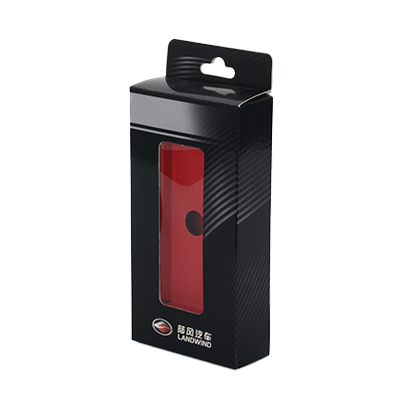 The materials utilised in the manufacturing of these boxes are chosen right according to your requirements and the type of category. We put special consideration on the fact that the kraft material utilised for your very own designed handmade soap boxes is flexible enough that it is easily transformed into the desired shape and size. An extensive range of templates are available to select the design of your desire and if you already have one in mind, send it to our professionals, and we will print it right according to your requirements. 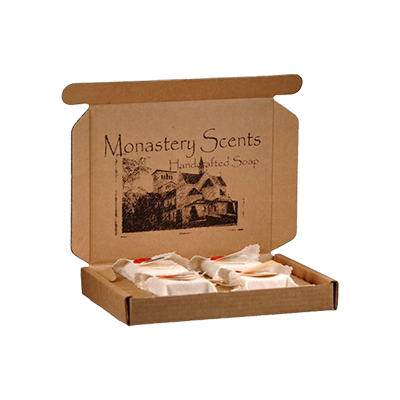 Our profound custom handmade soap boxes are an excellent tool to form a robust brand image of your company by obtaining all the required details on these boxes. The sturdy soap hang tab boxes help you keep your products safe for long duration and in laborious conditions. 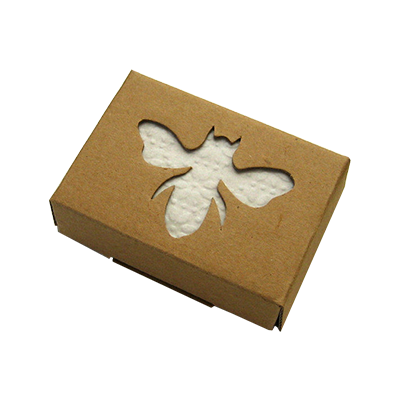 Get an exquisite printing design to make your custom printed handmade soap boxes even more enticing. Do you want the printing to look distinct and impress the customers at first sight? 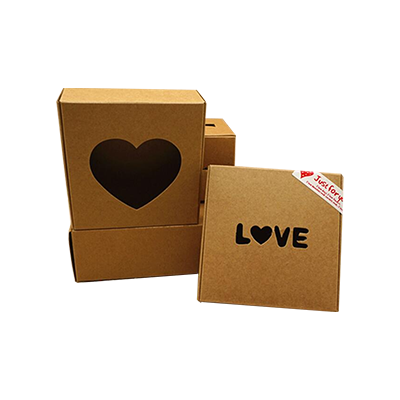 Get custom boxes to make sure you attract your target public with catchy theme lines and slogans. Our innovatively designed window die cut boxes impart unique looks to your product and stand out distinguished amongst other boxes on the retail shelf. We being the owner of the latest machines provide you extraordinary printing facility under one roof. 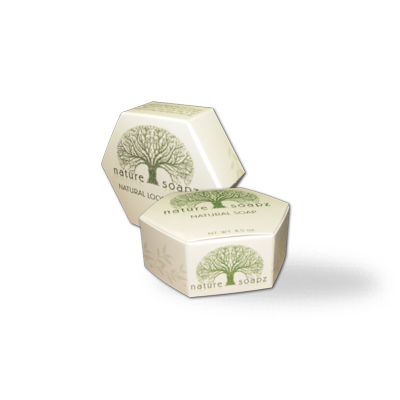 These custom handmade soap boxes will transform into the most effective marketing tool for your company. Our excellent solutions include reverse tuck soap boxes, straight tuck soap boxes, and bottom lock soap boxes to cater to your every requirement with an extra touch of expertise. Our specialists are always ready to invent and transform your ideas for exquisite shapes and styles of boxes into a reality. Fetching colour schemes and enchanting design combinations will certainly market your brand and enhance your product sales. We play our professional responsibility by providing your eco-friendly boxes. To know more about our innovative boxes and rock bottom prices, give us a call right away at +1 628 732 1855. Feel free to send us an email at help@packagingpapa.com and we’ll definitely let you have the perfect boxes in trend. Custom Soap Hexagon Boxes | Soap Die Cut Packaging Boxes | Soap Boxes New Design | Custom Bath Soap Boxes | Custom Gift Soap Boxes | Custom Paper Soap Boxes | Custom Window Soap Boxes and much more!